1 hour before the start of the event for the set up and 1 hour after the event for the break down. Broadmead is a senior living community. This event is being planned by the resident run Multi-Cultural Committee and the Music Committee. The purpose of the event is a multicultural program of dance and music. Arriving on the music scene in the late 19th century, Mariachi Bands brought an upbeat yet traditional sound to Mexican culture. With a blend of guitars, violins, trumpets, the guitarron, and the vihuela, Mariachi music can truly liven up a party! The upbeat authentic Mexican folk music is the perfect accompaniment for wedding receptions, Cinco de Mayo parties, and so much more. 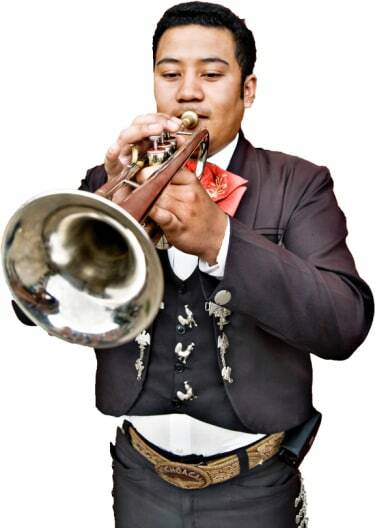 Search for Mariachi Bands in Towson, Maryland above. Please note that these Mariachi Bands may also travel to Lutherville, Riderwood, Timonium, Lutherville Timonium, Parkville, Brooklandville, Cockeysville, Overlea, Stevenson, Glen Arm, Nottingham, Long Green, Pikesville, Rosedale, Phoenix, Hunt Valley, Lochearn, Perry Hall, Garrison, Gwynn Oak, Hydes, Milford Mill, Fork, Windsor Mill, Baldwin, White Marsh, Essex, Sparks Glencoe, Randallstown, and Kingsville.